There was a time as the scarlet fever’ s mere mention could send shivers down the spine of patients. In fact, scarlet fever was among the deadliest conditions of the olden days; nevertheless, in nowadays, the disease can be cured and people can treat it with both natural remedies and medications. Scarlet fever is highly contagious and can affect kids at the ages of 5 – 15. Read on to know more about scarlet fever and the simple yet effective tips on how to treat scarlet fever rash, itch, peeling in babies and adults that would help you deal with this infection right at the comfort of your own home. 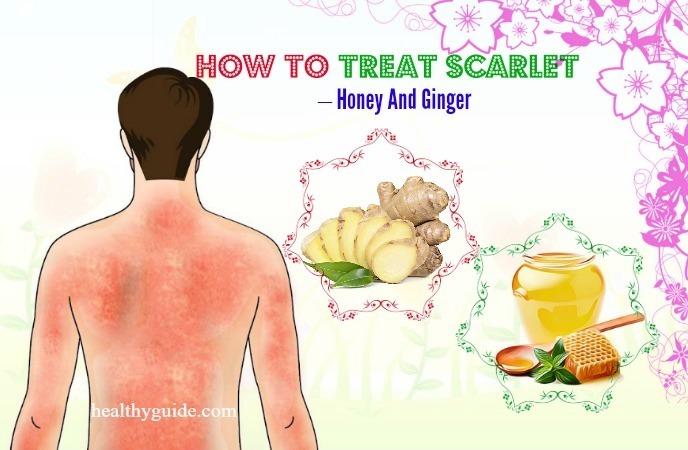 In this article, Healthy Guide will show you a few great ways on how to treat scarlet fever in a month naturally at home that you can apply at the comfort of your own home to achieve the best results as desired. 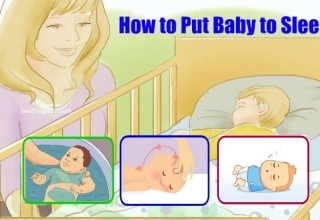 However, before learning how to control the infection, you should know some basic information about it. 1. What Is Scarlet Fever? Once considered to be a fatal and incurable condition among kids, scarlet fever can be currently curable with some antibiotics thanks to the perfect growth of the medical science. Scarlatina or scarlet fever is an infection triggered by the A streptococcus bacteria , often affecting people who are dealing with a strep throat . A series of deep red rashes associated with a sore throat and high fever are some of the well-known signs of scarlet fever. This infection usually leaves impacts on kids aged between 5 to 15 years and can become quite severe if patients do not check and treat it for a long time period. 2. Is Scarlet Fever Contagious? Scarlet fever is a communicable condition that can spread through the body fluids of the nose and mouth. The airborne bacteria can attack other people who breathe in the same air, thus can spreading this infection with ease. Even if you touch a person attacked by the A- streptococcus bacteria, you can have this disease too, according to a study . Exchanging towels, consuming contaminated foods, or touching things of the patients can also force you to suffer from the scarlet fever issue. Scarlet fever is an infection triggered by group A beta-hemolytic streptococcus or a bacterium S pyogenic. The same bacteria can lead to the strep throat issue. These bacteria release some toxic substances into your blood stream that trigger these aforementioned signs of scarlet fever. Some people can carry and pass on the bacteria without being infected by it; just people susceptible to the toxic substances can have this disease. The skin of the infected area begins peeling off within six weeks after the fever has been treated. Overall inflammation, diarrhea, headache, vomiting, nausea, weakness, and itching are other common signs of scarlet fever. 5. How Long Does Scarlet Fever Last? Scarlet fever is very easy to as it causes sore throat and rashes right from the very first step it leaves. The doctor can also diagnose the infection just by looking at your blood test reports and conducting some other tests. For example, examining a sample of the phlegm or a throat swab can help a lot in determining the exact bacteria. In general, a mild case of this condition will stay for over a week and can be treated without much cure. Nevertheless, if the signs persist an antibiotic such as penicillin often treats the disease within nine to ten days. The fever will continue for another 12 – 24 hours and the antibiotics kick into the system within about four to five days. Note that the patients have to complete the comprehensive course of the prescribed antibiotic to get a full healing power. Currently, scarlet fever is often curable by a dose of antibiotics; for example, erythromycin or penicillin. Nevertheless, there are a few natural treatments that people can make use if they really would like to save the expense for going to the doctor. These natural treatments are also very useful for those dealing with an allergy to antibiotics or having a mild care of scarlet fever. In this section of the article today, we introduce 10 simple yet useful tips on how to treat scarlet fever in babies and adults at home that everyone can make use with ease. These natural remedies that can help provide relief for this infection within a very short period of time. In a different, more serious case, consult your doctor for exact diagnosis and proper cure to avoid negative results. This is the very first tip on how to treat scarlet fever in adults and babies naturally at home that we would like to introduce in the entire article today and encourage readers of Healthy Guide to make use at home as soon as possible for good! Baking soda and oatmeal are well-known for the ability to reduce the inflammation and itchiness on the skin, giving a patient some respite from his/her suffering. For this, try adding 2 cups of oatmeal into your daily bathing tub; and then, sprinkle 2 tbsps. of baking soda into it. Soak your skin in the tub within about half an hour to an entire hour. 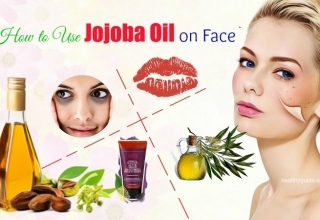 Then, wash your body skin thoroughly and repeat the process for 3 or 4 days. Baking soda provides anti-bacterial properties that can give instant relief against the swelling and red rashes on the skin’s surface. Oatmeal and baking soda together bring about no side-effect to the skin and can be made use for extended time periods. Lavender oil  is famous for its aromatic properties and can be used in reducing pain in aromatherapy. To make use of this tip on how to treat scarlet fever itch, rash, and peeling in babies and adults at home, try taking some lukewarm water in a wide-mouthed vessel and pour 3 – 5 drops of lavender oil into it. Inhale the liquid while using a thin cotton sheet to cover your head. This way you can take in the concentrated liquid without wasting its vapor. Apply this method 2 times per day to achieve the best results as desired. 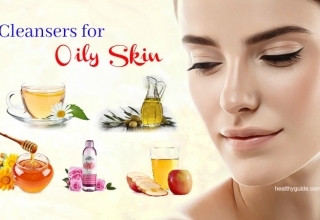 You can even try mixing lavender oil proportionately with water and apply this mixture into your infected skin area. Inhaling the steam can help to relieve the pain in a sore throat while the applying the mixture aids a lot in reducing skin itching and redness naturally. 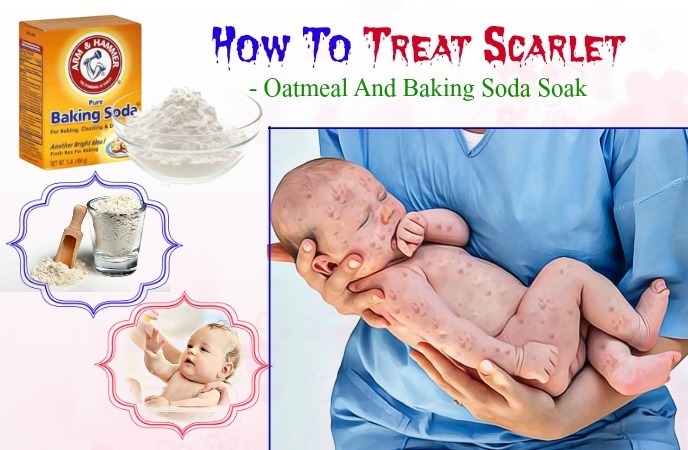 This is also among one of the best tips on how to treat scarlet fever peeling, itch, and rash naturally at home you should try right from today! Basil, ginger, and honey are common ingredients that people can find in any home kitchen. These not just help to improve the taste of your dishes but also provide a lot of medicinal properties. Try crushing a bunch of basil leaves and get their juice extracts. Then rinse thoroughly and peel a piece of ginger before crushing it well. Mix it in 1 glass of lukewarm water and add 1 tbsp. of honey. Consume the liquid for about 14 days. The basil leaves are very abundant in minerals and Vitamin A that enhance the immunity of our body. Ginger is well-known for its anti-bacterial power, while honey is a natural antiseptic agent. Thus, this mixture will be perfect for reducing the signs and symptoms of scarlet fever in people at any age. Keeping reading the article for other useful tips on how to treat scarlet fever itch, rash, and peeling to make use at the comfort of your own home. Mint tea is famous for its cooling properties and can give people some relief against the the discomfort and severe rashes due to the scarlet fever issue. You just need to boil some mint leaves and leave them aside. Then boil 1 cup of water and steep the washed mint leaves within about ten minutes. Strain the combination and add some honey as needed for improved taste. Consume the mint tea on a regular basis for about one week to ten days for achieving the most desirable results. Mint is well-known for flushing out the toxic substances released by the bacteria and also keeping the body energized and fresh. The aromatic mint tea has rosmarinic acid – a compound that is responsible for curing the basic fever influences of the condition. This is actually a useful tip on how to treat scarlet fever rash, itch, and peeling that everyone should give a try at home right from today for good! Coconut oil is something that you can make use in almost every medicine coming from the nature. Mix 2 tbsps. of coconut oil within 1 glass of warm water. Consume the liquid for a few weeks. You can even try applying some virgin coconut oil on the inflamed and rashes skin area and use lukewarm water wash it later. Coconut oil is very abundant in fatty acids and is actually great for your skin. It even has chemicals such as Lauric acid and Medium Chain Triglycerides that releases monolaurin – the chemical that can destroy bacteria like Candida and Staphylococcus and quicken the healing process considerably. 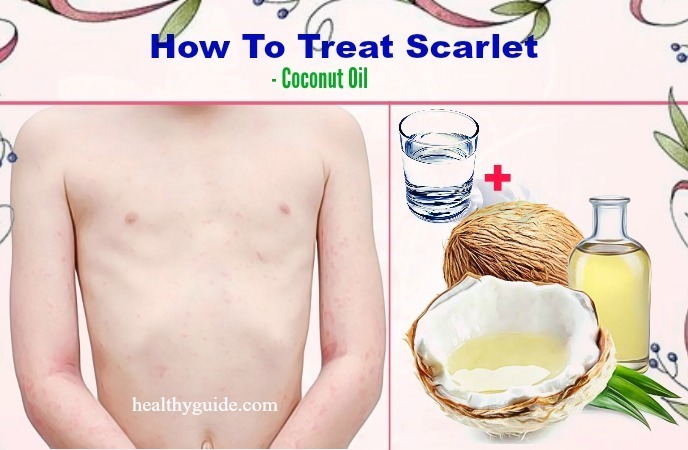 There are many ways on how to treat scarlet fever peeling, itch, and rash in babies and adults that you can make use at home using natural ingredients like coconut oil. Keep checking out! Both turmeric and aloe vera are common ingredients for preparing natural treatments for a lot of medical diseases. Try taking some aloe vera leaves and cleaning out the sharp sides, removing the aloe vera’ s outside skin and scraping the greenish gel inside out. Mix 1 tsp. of crushed turmeric or powdered turmeric to the liquid and use it to apply directly onto your infected skin areas. Allow it to stay for about 2 hours before washing your skin thoroughly. 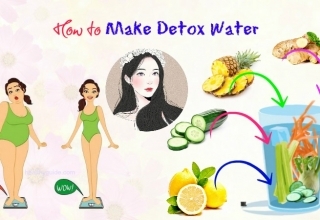 Aloe vera is an excellent antioxidant that can help a lot in rinsing out the toxic substances released by the bacteria, while turmeric provides healing power that can aid in relieving discomfort and swelling associated with the scarlet fever issue. Keep reading the article for more tips on how to treat scarlet fever in babies and adults that we introduce in the article today. All of these remedies come from nature and are very easy to follow, so you should not concern anything about the possible negative side effects. Apple cider vinegar  is an ingredient that contains a lot of anti-inflammatory properties for relieving the itchiness and swelling on our skin. The liquid is also very abundant in Vitamin C and can help to increase the body’s immunity. Add 1 tsp. of unadulterated apple cider vinegar to 1 glass of warm water. Also try adding some honey to the concoction and consume it 2 times per day for about 14 days. Apple cider vinegar is an excellent medicinal ingredient for the treatment of scarlet fever rash generally. 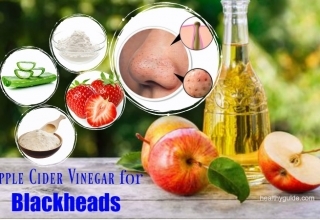 You can even apply pure apple cider vinegar onto your infected skin areas to relieve the skin itchiness and swelling. Remember that apple cider vinegar though not dangerous as consumed can trigger minor irritation when applied directly onto the skin. Try these next steps for how to treat scarlet fever itch, rash, and peeling to see the improvement you want! Powdered turmeric milk; however, unpleasant in taste, has been a classic home treatment cocktail for almost every medical disease, including the scarlet fever. The liquid can work effectively in fighting the bacteria that triggers the fever and enhancing the body’s immunity at the same time. You can try adding 2 tsps. of turmeric powder within a glass of boiled cow’s milk. In addition, you can try adding 1 tsp. of honey to increase the taste. Consume the concoction every day, once at night and once in the morning. Turmeric is an excellent antiseptic that also contains some antimicrobial properties that can help you fight against scarlet fever in children and adults. Turmeric also contains compounds such as bisdemethoxycurcumin, dimethoxy-curcumin, and curcumin (diferuloylmethane) that hasten the healing process. Even milk is abundant in minerals and vitamins, helping a lot to strengthen the body and boost the recovery process. For more tips on how to treat scarlet fever peeling, itch, and rash naturally at home, keep reading the article and we will help you deal with your own case naturally without having to spend too much time, money, and efforts. 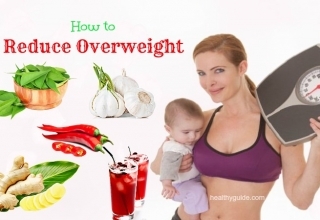 Let’s keep going on with Healthy Guide! Ginger is a natural herb that has many antiseptic and anti-inflammatory properties. Boil some washed and grated ginger in a pot of warm water and let it steep for 10 minutes. Next, add two teaspoons of honey to the mixture and drink it twice a day for a week for best results. Ginger is a classic household solution for a sore throat and also has certain anti-viral properties for fighting the virus growth in the body. Honey, on the other hand, soothes the rashes and also reduces swelling and pain. Note that people with peptic ulcer  cannot use this natural cure because ginger can lead to stomach irritation. Keep reading the article for more useful tips on how to treat scarlet fever itch, rash, and peeling naturally at home that we would like to introduce in the entire article today and try to make use as soon as possible for good! 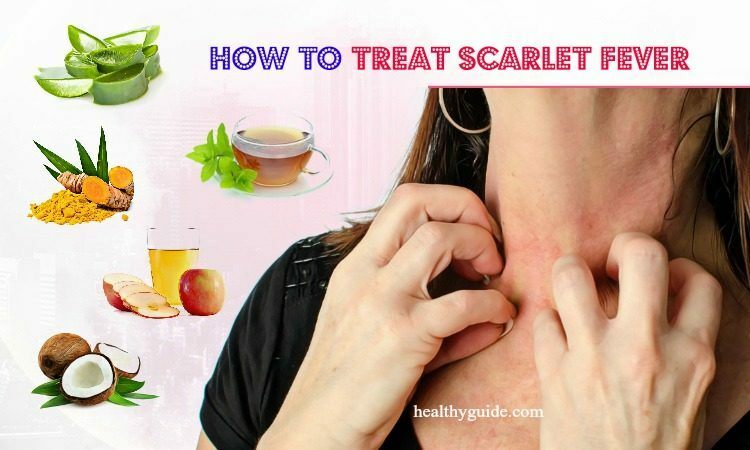 This is the last tip on how to treat scarlet fever rash, peeling, and itch naturally that we would like to encourage readers of Healthy Guide to try making use at home to overcome the appearance of scarlet fever. Garlic is a well-known ingredient that is very famous for its special aroma and taste. Nevertheless, this natural herbal also contains some excellent medicinal properties. You just need to try adding honey to a few peeled and chopped garlic cloves. Chew the pieces for few minutes before you swallow them. Garlic is very famous for treating a lot of skin issues and disorders in Ayurveda and can also help a lot in reducing signs and symptoms of itching caused by scarlet fever. Even honey is a natural soothing agent and can reduce the pain in the throat and swelling. Consuming honey and garlic on a daily basis can also help to enhance the immunity system of our body and keep other infections at bay without leading to any negative or unwanted side effects like when you use any type of medications. 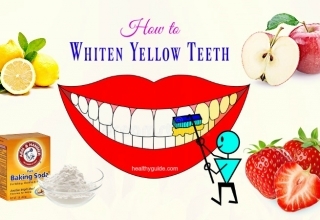 After reading this interesting article and applying some of the natural treatments above, we hope that you can make use of them to say goodbye to your current scarlet fever  issue instantly and effectively. Actually, all of these methods have been reported to help reduce the severity of the issue without causing any unwanted side effect. Therefore, you can try applying any of these ways at the comfort of your own home right now. If you know any other home remedy for this infection, feel free to share with us right in the section below the article today. To discover more useful health information, check out the page How To on our site.